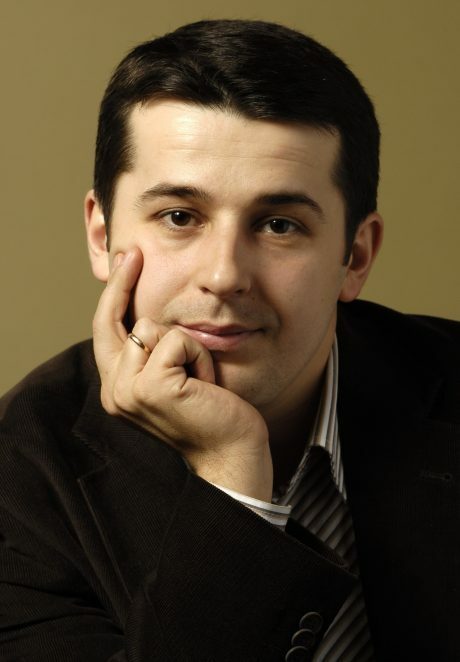 Bogdan Plish was born on June 4, 1977 in Mukachevo (Ukraine), where he graduated from the choir school for boys and young men (director V. Volontir). Later, he graduated from the National Music Academy of Ukraine named after P. Tchaikovsky (2001, choral conducting class, People’s Artist of the USSR, Prof. L. Venediktov; 2006, opera and symphony conducting class, People’s Artist of Ukraine, Prof. R. Kofman), and had assistantship-internship with L. Venediktov. Since 2002, B. Plish has been artistic director and conductor of “Credo” Chamber Choir, as well as regent of the homechurch choir at the Archangel Gabriel’s Cathedral ( “Glas” Television and Radio Co). In 2005 the leader of the ‘Credo’ won the Grand Prix of the III Ukrainian competition for choral conductors and was awarded the prize in honour of Levko Levytskiy. In 2007 he was appointed choirmaster of the National Opera House of Ukraine named after T. Shevchenko. In 2009 the conductor became a co-author of the idea and artistic director of the International Easter Assembly (2009-2016). During his work in the theater, B. Plish was choirmaster-producer of such operas as “Boyarynya” by V. Kireyko, “L’elisir d’amore” by G. Donizetti, “Cinderella” by J. Rossini, “Don Carlos” by G. Verdi, choral scenes in the ballet “Zorba the Greek” by M. Theodorakis, M. Ravel “Daphnis et Chloe”, G. Verdi “Nabucco”, G. Puccini “Tosca”. Since 2010, B.Plish has been performing as a conductor of the National Opera House of Ukraine, where he conducts operas “Eugene Onegin” by P. Tchaikovsky, “Aleko” by S. Rachmaninov, “Natalka Poltavka” by M. Lysenko–M. Skorik, ballet “Bolero” by M. Ravel. In 2013, B. Plish received the title “Merited Art Worker of Ukraine” and was appointed chief choirmaster of the National Opera House of Ukraine. B.Plish combines his work in the theater with creative activities as a conductor of the National Chamber Music Ensemble named after B. Lyatoshinsky.